Trainer Tony Gollan is hoping a strong first-up run by Raido is a pointer to his first three-state treble. 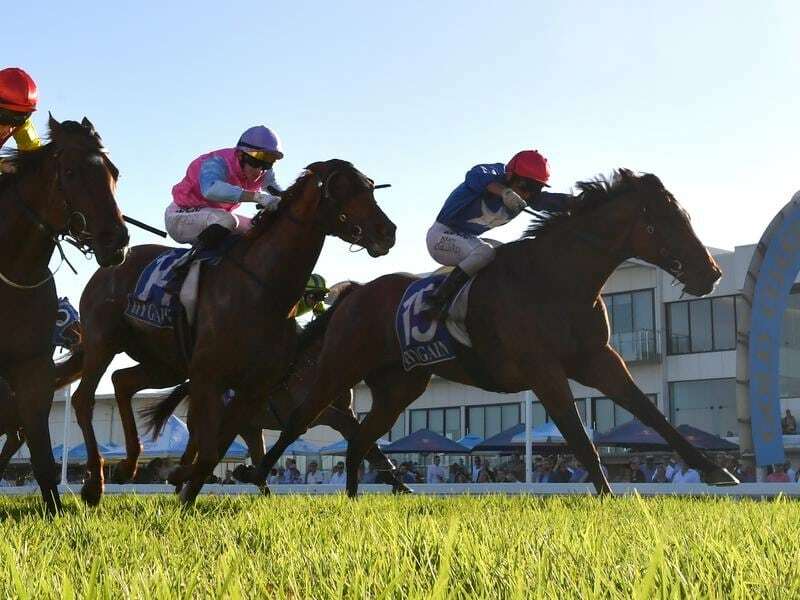 For the first time Gollan will have runners at three metropolitan meetings in different states on Saturday with Raido heading his Brisbane team in the Open Handicap (1200m) at Doomben. Outback Barbie will contest the Group Two Tea Rose Stakes (1400m) at Randwick and Ef Troop the Group Two Danehill Stakes (1200m) at Flemington. The late champion Brisbane trainer Bruce McLachlan often had three runners in three states on the same day but at the time he also had stables in NSW and Victoria. “It would be a big ask and I am not getting ahead of myself. But we do have a chance in all three centres on Saturday,” Gollan said. He said while Raido was generally considered a Gold Coast specialist he had pleased him this campaign. “He was a good second in a trial and I thought his fourth first-up at the Sunshine Coast was solid,” Gollan said. Gollan is hoping Outback Barbie can have a change of fortune after several luckless attempts to win in Sydney. The filly finished second in the Silver Shadow Stakes and fifth in the Furious Stakes. In the autumn she was also checked when an unlucky third in the Group Two Percy Sykes Stakes. “His sire Spirit Of Boom loved the Flemington straight races and ran second in a VRC Newmarket so let us hope it carries on,” he said..
Ef Troop was also unlucky in his spring return when second at Doomben on August 11. He has since won a Rosehill barrier trial beating Group One winner and Everest contender English by 3-1/4 lengths.